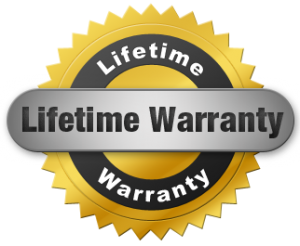 Our lifetime warranty is good for the full life of the structure. We have no small print and no tricky exclusions or sales pitches about inaccurate guarantees. What we offer is a 100% life of the structure guarantee. Not only is the warranty 100%, but it’s transferrable. If you sell your home, the warranty remains intact for the full life of the structure. It doesn’t matter if the home is sold and re-sold ten times over. Our warranty is included free of charge with the purchase of our systems. Our friendly staff is always available if you ever have any questions about your waterproofing system. We answer the phone during business hours and will respond to any email or voicemail inquiries within 24 hours. Most of the time we will respond within the same day. Our goal is your 100% satisfaction. At Armored Basement Waterproofing, the job is not done until you have a smile on your face. You can rest easy knowing that your newly installed Armored Basement Waterproofing System is backed by the strongest warranty in the business.